Journey Into The Light – Dr. Turi M.D.U.S. This journey demands you to die and rebirth countless times, stronger and better. This journey demand you to sacrifice it all while maintaining a strong faith in God. This journey demand you to be curious, strong, forgiving and dedicated to your goals. This journey demand you to be both modest and sure of yourself and refine yourself. This journey demand you to be ready for anything anytime and help those in need. 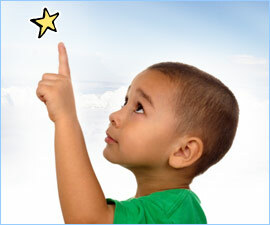 This journey demand you to be real, trusted and trustworthy in all you say and do. This journey demand you to be better tomorrow knowing you failed today. This journey demand you to be love yourself and respect everyone totally. This journey demand you to be prepared for the best and the worse with confidence. This journey demand you to be a leader in your convictions to know you will succeed. This journey demand you to see your failures as stepstones to succeed in the long run. This journey demand you to listen and trust those you feel can help and guide you. This journey is the same strenuous journey salmons endure to reach their birth place. Muhammad Ali hospitalized – “Once this Dragon reach him in 2015, he will be a matter of time for him to called back to God.” Memo from “NFL Seau Concussion Holy Grail of Lies and Stupidity!” published 2 years ago or 01/23/2013. And these are the people we are trying so hard to reach and educate? We heard of “do not throw the water with the baby” or the Messenger in this case, but this is the type of response I get from rude, oversensitive people who let their own emotions and fear of death and the future blurr their judgement. All I was trying to do is to confirm a predictive gift that enunciate the trust all smart people I served since 1991 put on my work for themselves. If I was able to predict Muhammad Ali predicament and his upcoming voyage back to God, I can do the same with anyone, and while death is something no one is willing to accept, there no escaping it. “Young souls” such as Dee are the ones who need us the most, mostly because the subconscious fears of death (or the future) they nurture is eating them away. But in no way will those people be able to recognize this fact or the immense educated ego which is the inner reason that stimulated the public attack. Muhammad Ali has his gift, and that was to beat weaker people physically, mine is much the same but at an intellectual level by making unarguable well documented predictions and expose the sins and mental egocentricity of the religious and atheists young souls. Meantime I can also guide and point out all the virtues and fate of all the wiser clients and students of mine I deal with everyday. Dee is part of the educated, all knowing, constipated “OCD Generation” wasting time on groups challenging and pointing out what they perceive as imperfection in others… At least today, the young soul is getting a free Astropsychology taste from Dr. Turi! The question is; will she learn anything by starting a war against a 65 older, wiser soul who knows her better than she knows herself or will she keep denying the obvious about her critical, over sensitive character? She may be a guy though, I am not a psychic, but I detect a feminine insecure, critical easily offended UCI. Astro Forensics is an undeniable science I created that can only bear its fruits when it is directed personally at my intended “victims.” There is no doubt Dee suffers serious inferiority (or superiority) intellectual complexes depicting a strong Virgo in the natal makeup. Sad enough I am often erroneously judged by the title or a pictures that somehow offend the puritanicals! In the eternal battle between emotions and logic, emotions and fears will always win, and you will always lose! The most common flaw encountered in any human is “assumption” intellectual snobbism and a the lack of curiosity. Meantime when I posted “Dow jumps 421 points. Best day since 2011 Dr. Turi Undeniable US economy Prediction – This newsletter was published May 6, 2011 and those predictions were broadcasted on the George Noory Coast to Coast am program June 2007″ and thousands of other memos on “Dr. Turi Cosmic Code Universal Predictions on Google” or BIN website I rarely received positive or negative feedback. This clearly dictate how important choosing a title is; knowing people subconscious attitudes to it… Meantime the calculated reaction I created using the “human animal” despicable responsiveness served my purpose to steer more interests in a topic that can only benefit smarter, more perceptive human being on BIN. Indeed I have much better things to do than to waste my time with an unmodifiable, combative young soul! Pope Francis issued a blistering critique on Monday of the Vatican bureaucracy that serves him, denouncing how some people lust for power at all costs, live hypocritical double lives and suffer from “spiritual Alzheimer’s” that has made them forget they’re supposed to be joyful men of God. Sad enough I, in some ways, resemble a fearless Pope Francis working endlessly to expose the undiluted truth and over the years I made many enemies who would love to see me dead. Will I be once again be “crucified” for my prediction of the Pope or our President assassinations when, like Ali, my visions makes it to CNN? How many more Dee’s will I have to deal with before and after it all happen? This is what I do, its my profession, my call in life; although like a curse but instead of harassing the messenger, try to appreciate the warnings instead! I am so glad for the heavenly help I am getting from many websites endorsing my work and collecting so far 680 of my articles for future generations cosmic investigation… Sad enough my computer was hijacked and many of those links are dead. Meantime whatever is there, will stay there. 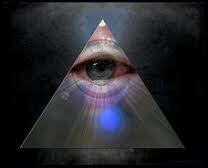 I am not insecure and dedicated to warn the world with my predictions while teaching the reality of a cosmic God. But the most refined educational and predictive work I produced, and will still produce will never reach the general public and is safely compiled in the Cosmic Code website for my VIP’s eyes and spirits only. Pope Francis – Can You Handle The Truth? Can Pope Francis Save the Vatican Corporation? The Secrets Pope Francis Don’t Want You To Know! Pope Francis’ Foreseen Assassination-Pray for his safety! Pope faces threat from the Mafia Dr. Turi Exposes The Stars and Fate of Pope Francis3 members of Pope’s extended family die in Argentina car crash – FULLY PREDICTED by Dr. Turi! Like me, Pope Francis is an old guy who lived a rich life and lead by God climbed to the top of the mountain. But Pope Francis UCI is also much too pure and too real for his own good. His powerful Sagittarius Dragon’s Head “Bull in the China Shop” is doing the damage imposed by a Cosmic God slowly shutting down the Age of Pisces and all religions created by man’s folly last two thousands years. “Let who ignore my warnings be cursed by the eternal rites of the cosmic code universal ceremonies for a cosmic God does not speak nor engage fools…” Dr. Turi. I am doing much of the same with the scientific community, battling their chosen leaders .i.e. “Dr. Sanjay Gupta, Dr. Deepak Chopra , Neil deGrasse” publicly! But, I am not the Pope, and the “Iluminati” in charge of your educational TEL– e.vision and all else do not feel threatened by my work or what the young gullible souls perceive as “SPAM” and I am certainly not about to get a world stage but I still do what I do even though I am constantly being muted and fired by an army of popular websites insecure moronic moderators!. North Korea has 1,800 cyberwarriors This IS The Beginning of End of America! Dr. Turi is a proficient author and a captivating speaker, his profound Universal Wisdom astonishes everyone. He was recognized in the 2003 Marquis “Who’s Who in America.” Dr. Turi is the personal counselor of many celebrities, Ivana Trump, Peter Fonda, Gary Busey, Denis Haysbert, John Gray and many others. 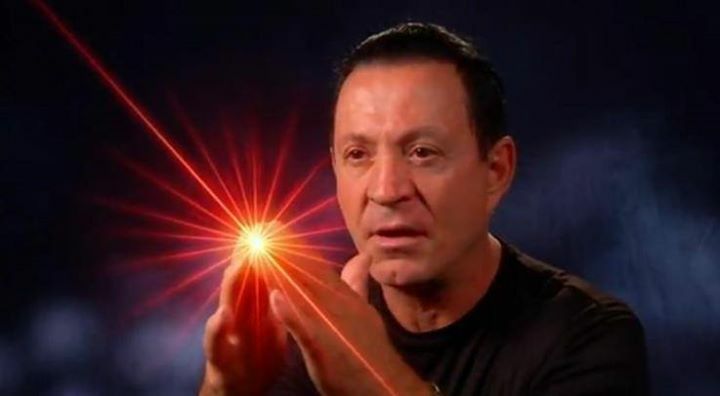 Dr. Turi is a favorite guest of George Noory on Coast-To-Coast AM radio and the BBC in London and appeared in numerous television programs worldwide.He speaks of the cosmic face and celestial tools of the creator and warn the world with undeniable well documented undeniable predictions. Clinical Hypnotherapist – Astropsychologist focused on providing individual and couples counseling services. Specializing in public speaking, teaching, metaphysics, natural healing, stress management, women’ issues and family mediation services. Interested in speaking engagements, radio, television, academic work, advising corporations, the police force, schools and general public on mental health issues and spirituality outside of conventional beliefs and accepted disciplines.